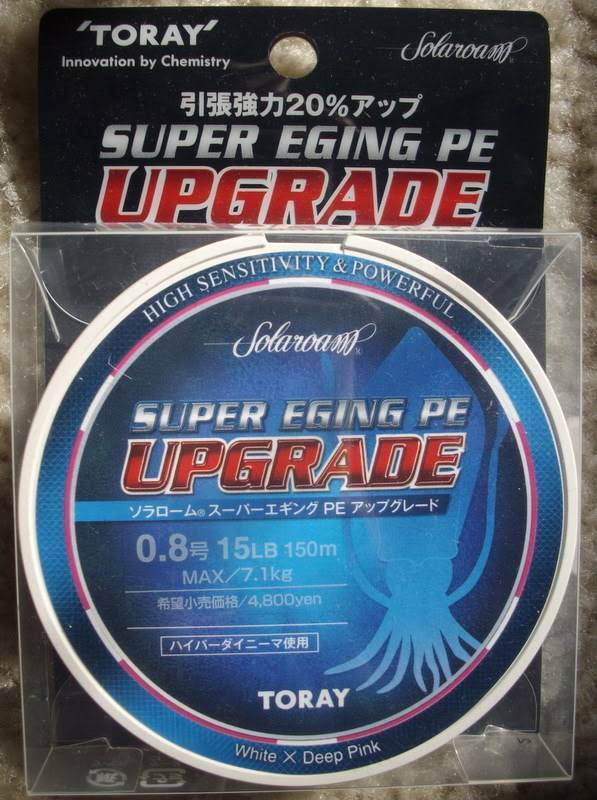 Product description : Toray Super Eging PE Upgrade, 0.8 PE/15lb/7.1kg, 150 m spool. Colour deep pink and white. Comments : I have been using this line for a bit over a month now and it is some of the nicest light braid I've ever used. This braid casts a mile, it is quite supple but still has a degree of stiffness so you don't get those dreaded wind knots (haven't had one yet, touch wood) when casting. It has very fine diameter yet it is very strong, rated to 15lb/7.1kg. I have found it nice to tie knots with and seems to have good knot strength, feels great under load an runs smoothly through rod guides when a squid/fish is pulling drag. The pink and white colour makes it easy to see while working your egi/lure and it would look good on any reel. The 150 m spool fills a 2506 size Daiwa reel perfectly. It's marketed as an eging braid but would also be perfectly suited for any style of fishing that requires light braid, I have used it to catch some thumper bream and flathead as well as snapper/squire up to 45 cm and it performed flawlessly . Would I buy this line again ? 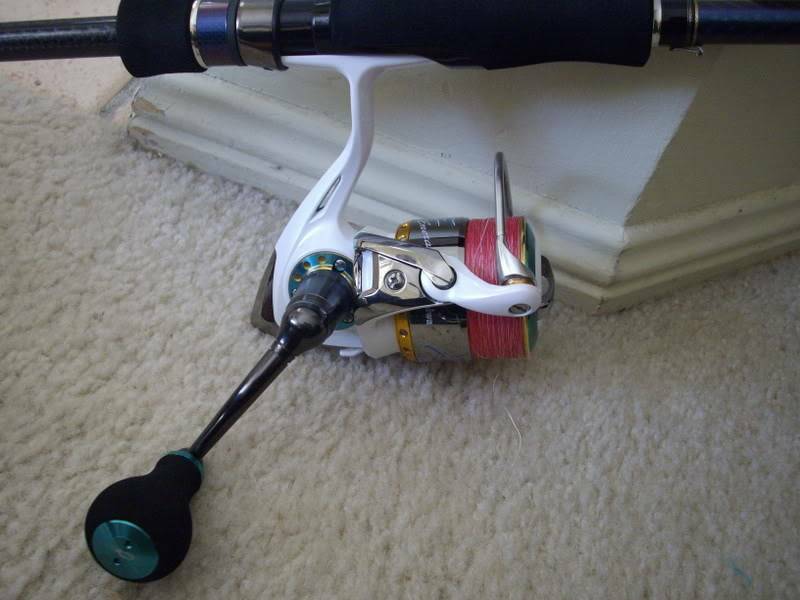 Bloody oath I love it and plan on spooling some of my other reels with it when the line on them wares out. Nice write up Alan. really cant go wrong with any good quality JDM PE. good plug Al...that should answer a few questions about it. you'll never convert me to the dark side I'm a mono man. I have been looking for some new braid, I think ill go for some of this . thanks for the write up mate!